When I first downloaded my recent e-book for review, I didn’t expect to glean anything new from it. At first glance (now, THERE’S a thief to watch out for), Travel Kits: A Simple Way to Bless Others by Donna Rees, published by The Old Schoolhouse (R) Magazine, seemed like a book I had already lived and I had hoped to review something new to me and beneficial to my family. Travel Kits… are defined as “a collection of items that will entertain and/or delight the passengers (especially the younger passengers), thus making the trip more pleasant for everyone.” I have been doing this for over 20 years. I just didn’t have a name for what I was doing. For years we’ve lived in N. Georgia and the rest of our families lived in central Florida. Nearly every year, at least once, we would make the ten hour trip to visit them, catch a few waves and walk over the dunes. We have wonderful memories of traveling together, because it was FUN! I packed numerous activities/toys/books to keep everyone occupied; we played car games, sang songs and made-up stories in round. Most of the time we didn’t have a working radio and this was well before DVD players in the vehicle. We’ve gone from the Walkman (cassette player), to portable CD player, to an MP3 player for our most recent trip. I would prepare our food before we left home and we would eat in the station wagon… that became a mini-van… that grew as we did, to a 15 passenger van, maybe stopping once to have a picnic, but usually only for gas and bathroom breaks. We could barely afford the trip! let alone eating out or extending the length of the drive for any reason that might require a hotel room for the night. Plato said, “Necessity, is the mother of invention.” Invention is kin to creativity. I wanted to create fond memories and needed to maintain peace and harmony for 10 hours, each way. Every idea I had and so many more! are written in Travel Kits: A Simple Way to Bless Others. Donna writes from her experience and some of us you’d think she knows personally, because Chapter One begins, “For those of you who like to ‘cut to the chase,’ here’s an overview…” Just enough instant-idea access to put together a travel kit for this weekend.Realistically, because she simply and clearly outlines the: who to make a travel kit for, what to put into your kit, when to share the gifts, where, how, and possibly the most important ~ why make a travel kit. Purchase, for $12.45, download, quick-read and go! Go deeper than first glance… Pour a glass of sweet southern iced-tea and leisurely consume the smart, thoughtful, and easy-to-achieve ideas in this e-book. Travel Kits… is so much more than it’s cover and overview and it deserves more than a cursory look. There are more than 90 pages, many with pictures, illustrations and how-to’s. Links, including those to official tourism sites for the states and territories. Games to play in the car, new and old and new spins on the old. Recipes that pack-n-carry well, a trip checklist and tips from fellow travelers. Step in a little more and you’re in past the heart… In telling us why to make a travel kit, Donna says, “To bless others. Jesus exhorted us to do to others as we would have them do to us.” [Luke 6:31] Yes, I made travel kits for my children when we took long trips, but, as I read this book and applied it, I was reminded that this is a wonderful way to love and serve others, OUTSIDE of my home. Travel Kits… is a great gift idea. One we can put together as a family. 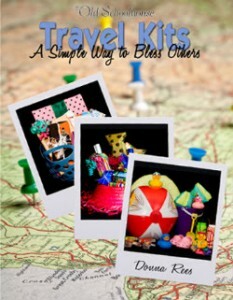 Travel Kits: A Simple Way to Bless Others. It’s in the name. They’re not just for using on vacation, but may be organized for a long, unfamiliar ride to a doctor’s office, or a hospital stay. A basket, a bin, a bag, it matters not, but full of things that say, “I’m thinking of you.” “I care about you and I hope this makes you smile.” “Congratulations!”, it becomes a blessing. a welcome-home-weary-traveler kit was born. The Old Schoolhouse Store, hundreds of products and free shipping, always. You, too, can travel the world! What better for a first adventure, than to travel the world! This is my first foray into the blog world and I was asked to review an e-book published by a favorite of mine, The Old Schoolhouse (R) Magazine, affectionately known around here as TOS. They are fond of making new friends; so, walk up to the front door and introduce yourself. Travel the World is the 56 page June 2010 Module to the Schoolhouse Planner. Written to supplement the Planner or to stand alone, this e-book is an effortless hop, skip and jump across the land and waters of our earth. This is geography. Ready, set…download…go! Walk across every continent and swim every ocean, while learning about the globe and maps, latitude and longitude, the equator, the isthmus and more. The travel planning for this unit study has all been done for you. 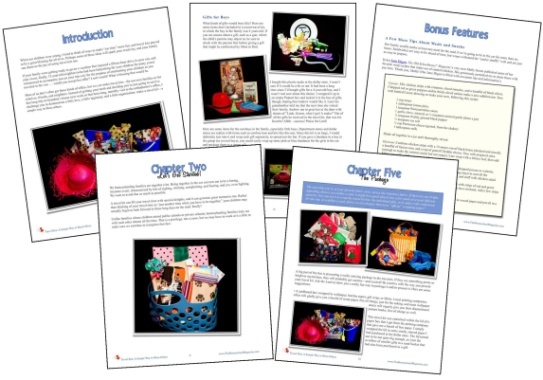 Printable games, puzzles, coloring pages, and copywork are available in addition to more than 80 links at your fingertips. 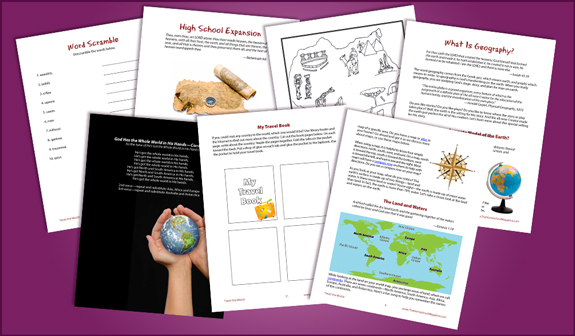 From lapbook beginnings with “My Travel Book” to the high school expansion section, Travel the World is easily adapted to K-12th grade. Everything is here for your trip to be a success, but we found that the use of a globe (which is not supplied with this e-book) made for smoother travel. Travel the World for $7.95. You won’t find a better ticket price anywhere and at TOS Magazine’s Schoolhouse Store shipping is always free. 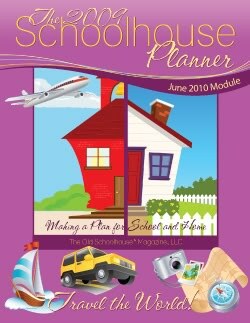 Visit today for more great Planner modules, e-books, lapbooks and the one and only Old Schoolhouse Magazine! I can sincerely recommend this e-book. It is a crazy-busy, don’t-want-to-fail-my-children academically, already-researched-and-organized, homeschool-momma’s dream! “The word geography comes from the Greek geo, which means earth, and graphy which means to write. So geography is God’s handwriting on the earth. When you study geography, you are studying God’s stage, story, and plan for man on earth.” When we were finished with Travel the World, I felt like we had done just that. This product was given to me, free of charge, in exchange for my honest review, as a member of the TOS Homeschool crew. I receive no other compensation for my reviews posted on this blog. The opinions expressed are my own. Look for it on July 19th!